Do you know that Sungai Palas Tea Plantation produces more than 800,000 cups of tea every day? The tea centre up the hill is definitely one of the must visit attractions when you are in Cameron Highlands. Established by J.A.Russel, the plantation has three gardens around the cool hilly mountains today – Habu, Fairlie as well as Sungai Palas. Since the packaging factory is located in Sungai Palas, tourists tend to flock to this main garden because they can witness the exotic tea production process while buying tea products such as Bukit Cheeding and Palas Supreme. As you make your way up, sound your honk on every blind turn to let oncoming vehicles know there is a car coming up the road. Drive slowly as you make your way up the narrow and winding slopes. Motorists may stop the car along the way and walk around the plantation to check out how the workers pick the leaves. If you are traveling to Sungai Palas in groups, you may arrange a free guided tour around the factory to find out about the history of tea plantation and tea production process. After a visit to the factory, take a stroll around the tea centre and enjoy a freshly brewed cup of Boh tea while overlooking the panoramic view of plantation. The open air platform balcony is spacious to allow visitors to snap pictures of the scenic plantation. Don’t worry if you can’t find a table at the balcony because you can still take pictures of the picturesque plantation from the inside since the walls are glass windows. 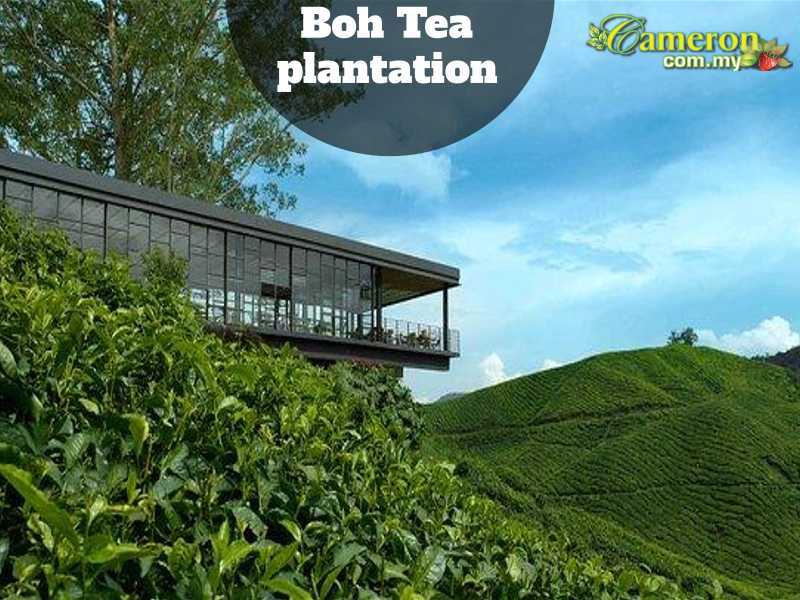 In that sense, you can enjoy your tea anywhere in the centre while enjoying the panoramic view of Boh tea plantation. Before you leave the tea centre, pop over to the souvenir centre to purchase some local Boh tea products. The tea leaves are packaged nicely in different box set to appeal to customers from all walks of life. This renowned tea centre is closed every Monday. On other days, the centre is opened from 9 am to 4.30 pm. To get to Sungai Palas tea centre, look out for signboards directing to Mount Brinchang because it is located along the same stretch. Here’s a little tip for first time visitors – if you plan to visit the tea centre during public holidays and weekends, be there early (before 12 noon) to avoid the crowd.